A bird’s eye view of the St. Charles Power Station’s site. Image: courtesy of Entergy Corporation. Construction on the St. Charles Power Station began with the groundbreaking held in January 2017. Image: courtesy of Entergy Corporation. Entergy awarded the EPC contract for the St. Charles power plant to CB&I. Image: courtesy of Entergy Corporation. The St. Charles Power Station is a new 980MW combined-cycle gas turbine (CCGT) power plant under construction in St. Charles Parish, approximately 48km west of New Orleans, Louisiana, US. It is expected to become one of the cleanest and most efficient power plants of Entergy Louisiana, when operational in 2019. Groundbreaking ceremony of the St. Charles Power Station was held in January 2017. The plant is expected to generate enough electricity to meet the needs of approximately 675,000 typical Louisiana households. The construction of the St. Charles power station is estimated create 2,000 direct and indirect jobs a year. Entergy Louisiana is expected to hire 31 people, including 20 production technicians, once the plant is commissioned in June 2019. The plant will also increase the revenue of Louisiana businesses by $1.4bn and household net income by $476.8m. The project was envisaged by Entergy Louisiana, a subsidiary of Entergy Corporation, to increase its electricity generation capacity to meet the power requirements of its customers. 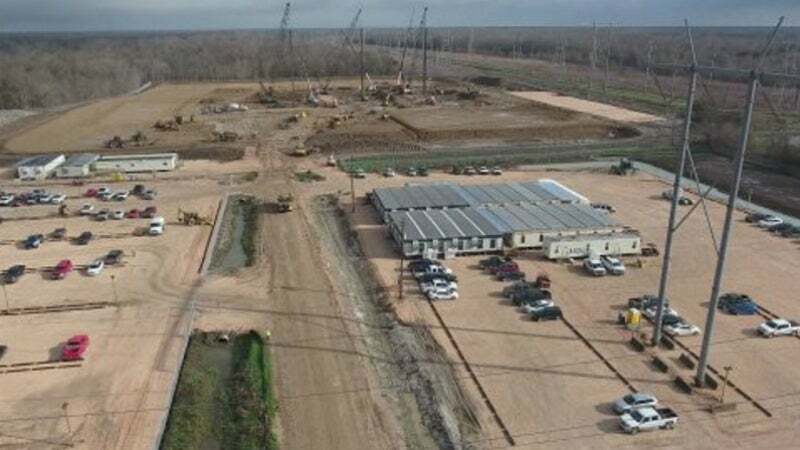 A 20-acre site next to Entergy Louisiana’ existing Little Gypsy power plant was selected to build the new power plant, following an extensive analysis. The site allows for the rapid deployment of work force and equipment for construction and commissioning of the power plant. It also offers high-accessibility to waterborne transportation and transmission facilities, and existing river water inlet and gas pipeline infrastructure. The preferred location offers the lowest reasonable cost alternative to provide electricity to supply-constrained Amite South region of southeast Louisiana. "The construction of the St. Charles power station is estimated create 2,000 direct and indirect jobs a year." The power plant will be installed with two M501GAC gas turbines, two Nooter Eriksen heat recovery steam generators (HRSGs) and a Toshiba steam turbine and generator (STG) in 2×1 CCGT configuration. The M501GAC, which is the air-cooled variant of the MHPS G-Series turbines, develops higher power output and efficiency than the MHPS F-class gas turbines. It also offers more flexibility than a steam-cooled unit and ensures rapid start-up and lower emissions. The combustion system of the gas turbine will deliver higher power output and efficiency, as well as more flexibility and lower emissions, when compared with the steam-cooled unit. The natural gas-fired plant will be digitally-enhanced to further increase the plant’s performance. The heat recovery steam generators (HRSGs) will extract exhaust heat from the gas turbines to create steam that will be piped to the steam turbine. The steam generated by the HRSGs will be utilised to drive a steam turbine rotating another generator, while the remaining exhaust gas will be transferred through the exhaust stack. The operator will continuously monitor the emissions to meet the air quality regulations. Cooling water required for the plant will be sourced from the Mississippi River. The small amount of leftover water from the steam will be dispatched after it leaves the steam turbine and will be piped to the cooling tower, where large fans will blow air to cool the water. The power station will employ a closed-loop system, which will reuse the water and will require small amount of make-up water from the river to offset the evaporated water. The power plant will also include three step-up transformers, which will increase the power voltage of the generator and will feed the output into the grid network. CB&I was awarded a contract by Entergy Louisiana for the engineering, procurement and construction (EPC) of the power plant, in the second quarter of 2015. Mitsubishi Hitachi Power Systems (MHPS) was selected to supply two M501GAC gas turbines for the St. Charles Power Station, in January 2017. Toshiba America Energy Systems received an order to supply a steam turbine and generator for the power plant.